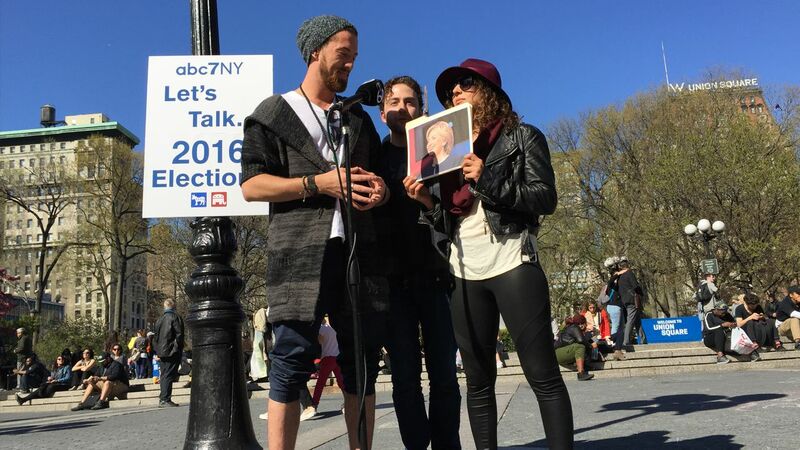 UNION SQUARE, Manhattan (WABC) -- New Yorkers stepped up to the mic Thursday at Union Square Park, talking politics during Eyewitness News' open forum. The event was broadcast live on our Facebook page, abc7NY. The open mic lasted nearly 90 minutes and gave people a chance to give their opinion on the presidential candidates ahead of New York's primary election. What's your take on the candidates? Sound off on our Facebook page or in the comment section below.